As you may have noticed I have recently invested in an embroidery machine. So for this year’s black Friday deal I would like to offer you an option to buy a corset with an embroidered front panel. I will only make 8 corsets for this special price. The system is first come first serve. You will have to be able to tell me what you want, and you need to pay a deposit of at least 50 euro’s. The corset will have to be paid in full before I ship it to you. – Second you pick your style of embroidery and a color. 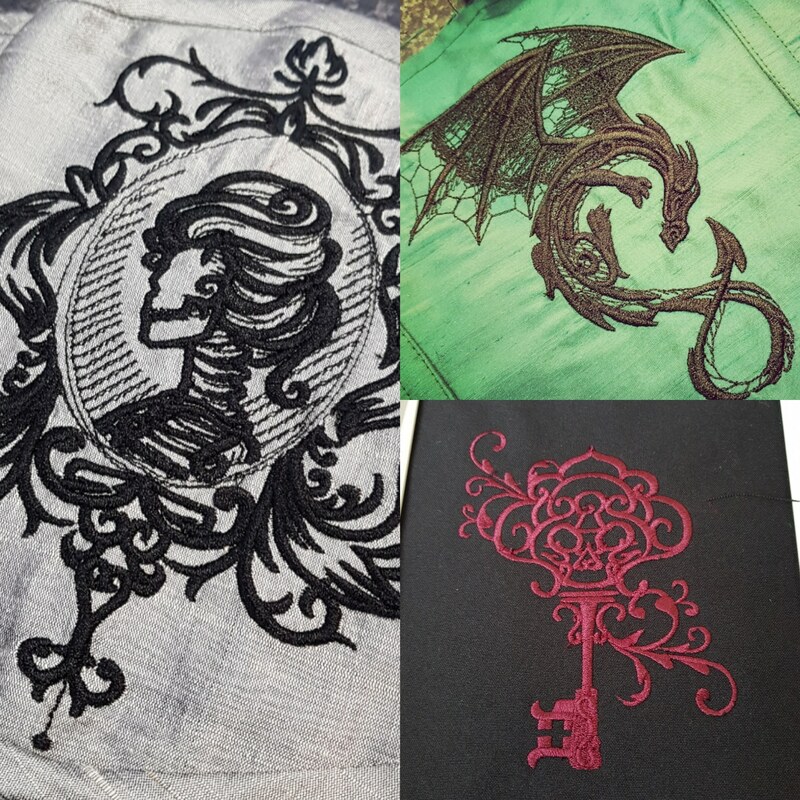 There are a lot of different embroidery patterns available. 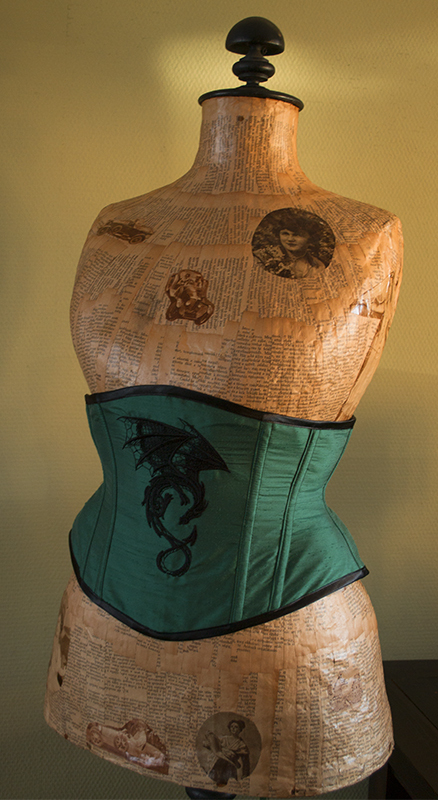 But here I have listed the ones I currently have in the collection, that are suitable for a front panel on a corset. If your style is not available you can request another style. I usually get my embroidery patterns from Urban Threads. Feel free to browse that website and let me know what you would love to see on your corset. Note that the max of my embroidery frame is 5 by 7 inch. Embroidery thread is available in many colors, just let me know what you want and I will show you what options there are. The Honoria Waspie has a front length of 22 cm and a side length of 15 cm. It has 14 steel bones. Usualy starting at 200 euros, Black Friday deal 150 euros. 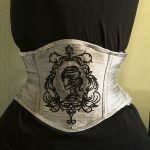 The first corsets will be finshed 4 weeks after ordering. The 3rd to 8th corset between 2-3 months after ordering. First come first serve. Please note that all corsets do not have a busk and no lining. Would you like to have a version with a busk and/or lining, please contact me to check options. 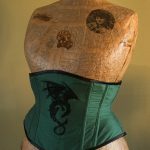 Sizing: all corsets are made to your measurements. Also I have 2 samples available that I made to show you some options for the black Friday deals. The Lady Grey. Grey/Silver silk with lady skull embroidery. 19 inch short Honoria waspie. Available here for only 75 euro’s.